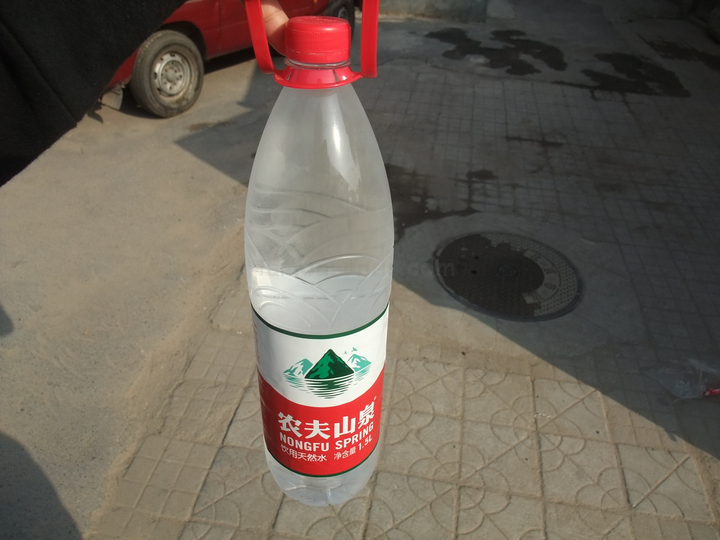 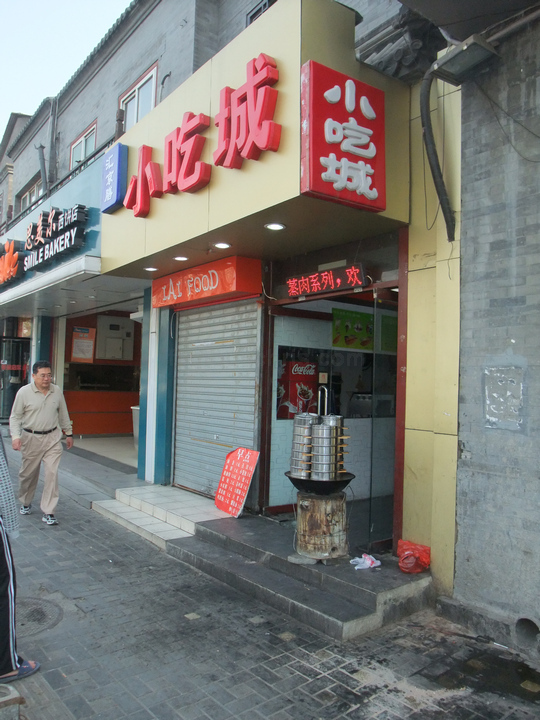 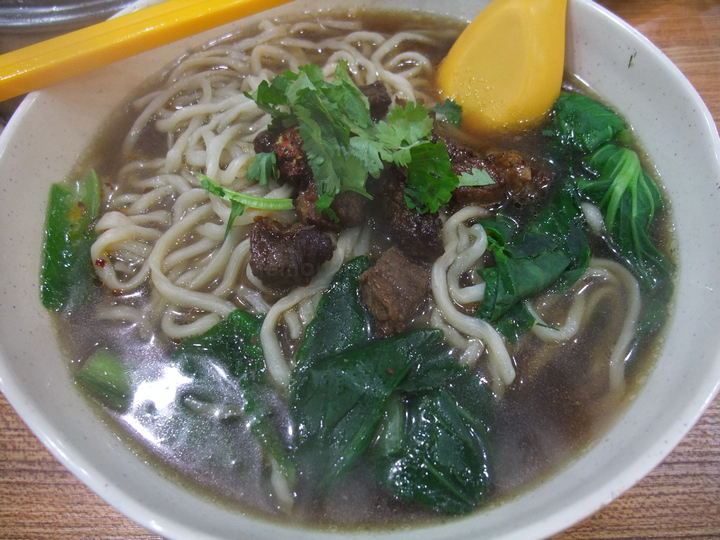 08.49 pm – Bought our supply of water for the day and 2 cups of our favourite black soybean milk drink. 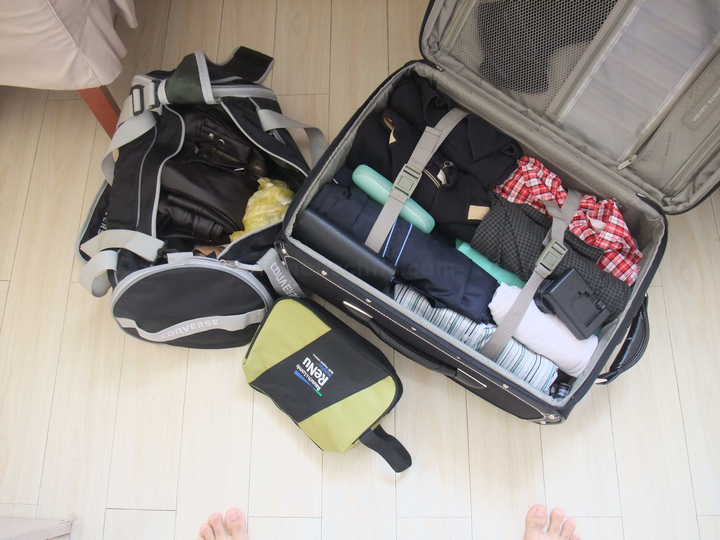 09.44 pm – Packing up your bags to leave the hotel is such a sad thing to do. 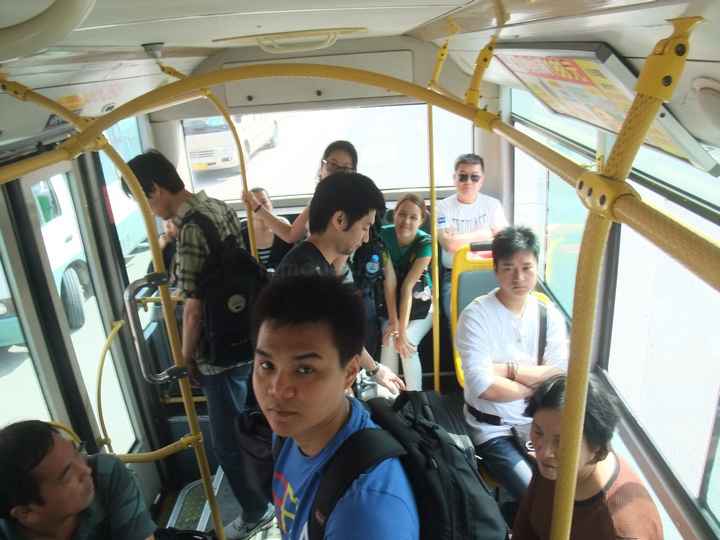 10.30 am – Got on the bus for our last ride around the city. 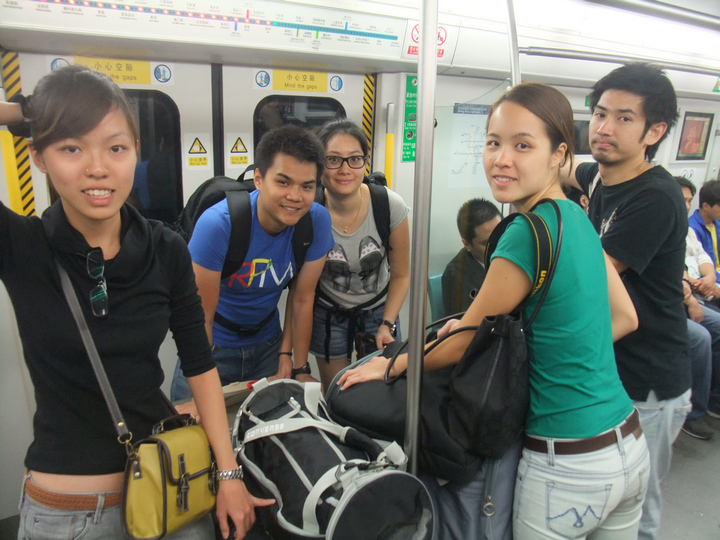 10.45 am – Last subway ride. 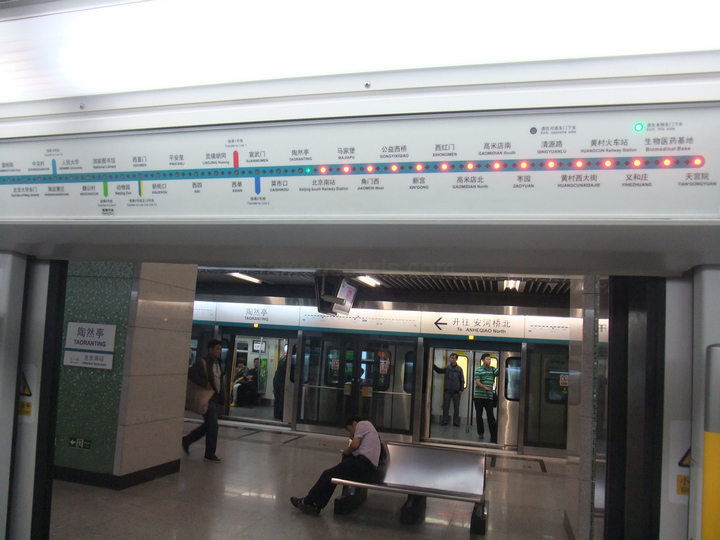 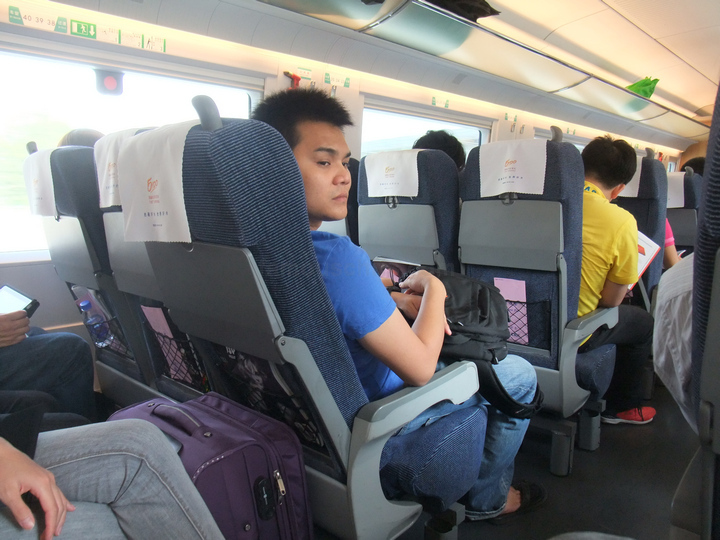 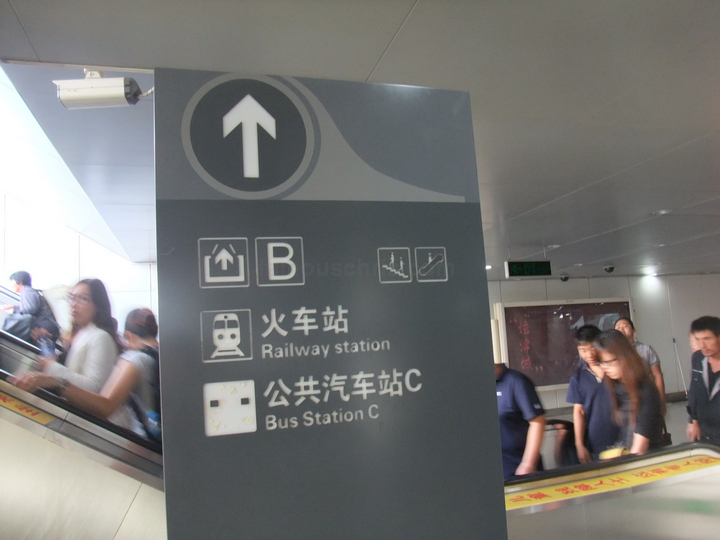 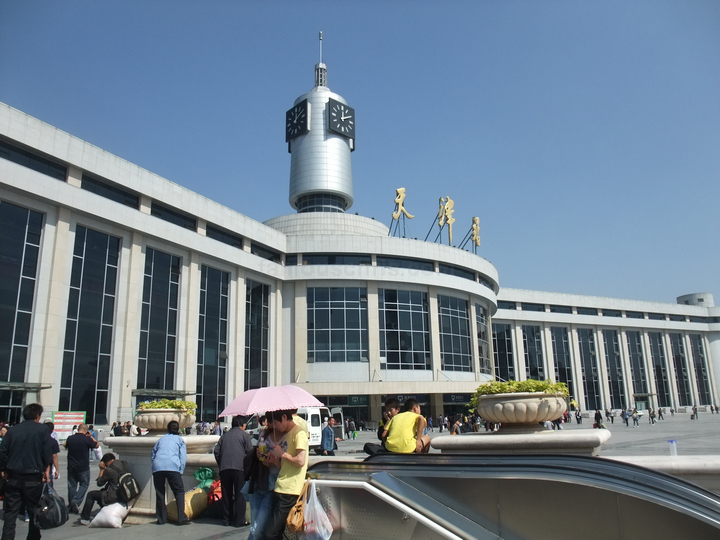 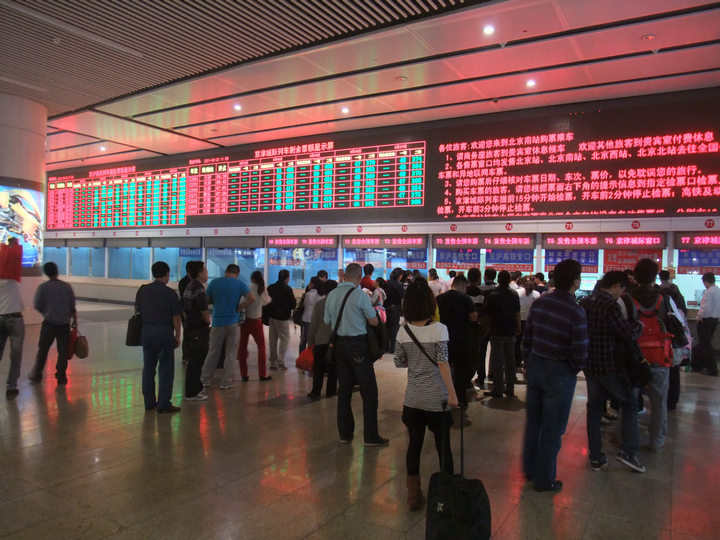 11.11 am – Bought the fast train tickets from Beijing South Railway to Tianjin Railway Station to catch our AirAsiaX flight back to Kuala Lumpur. 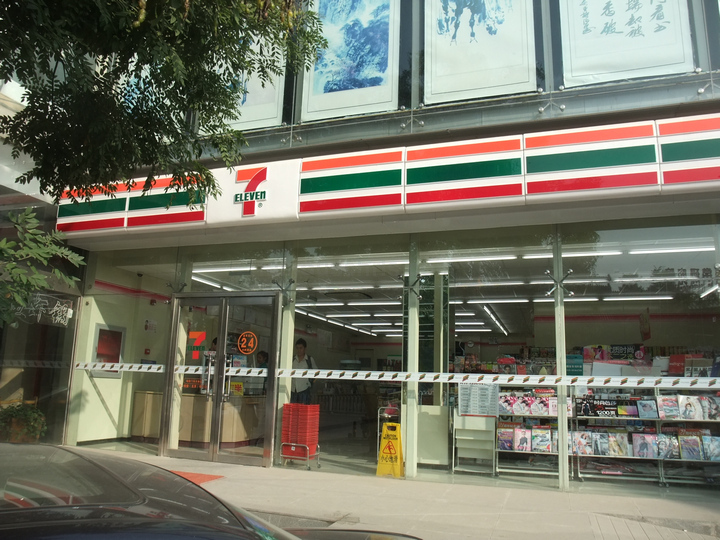 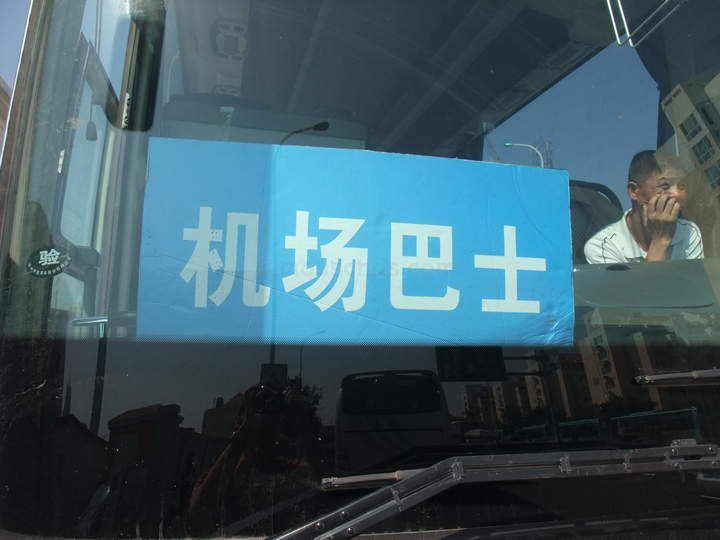 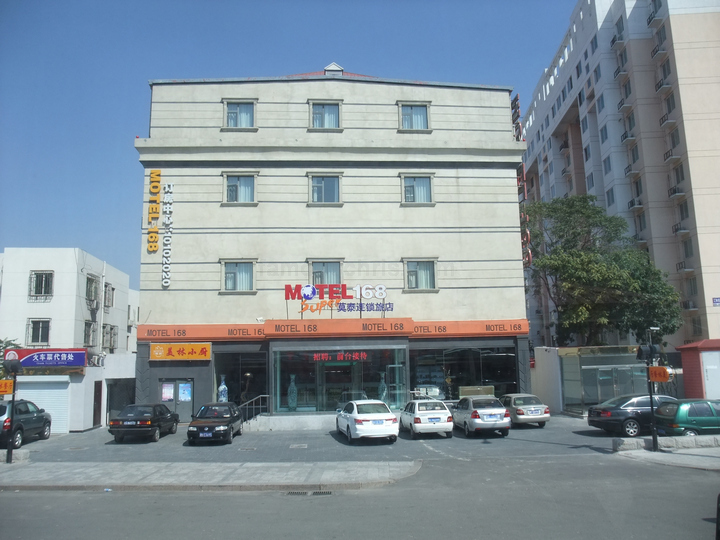 12.45 pm – Found the feeder bus that will take us from Tianjin Railway to Tianjin International Airport in front of Motel168 near the railway. 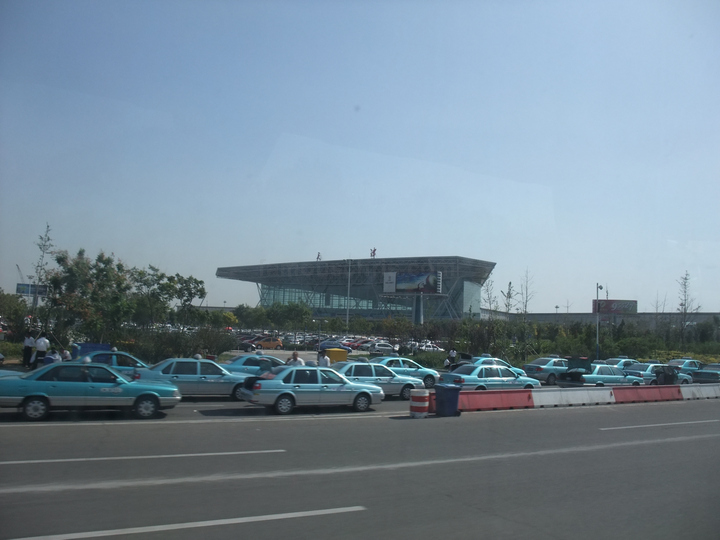 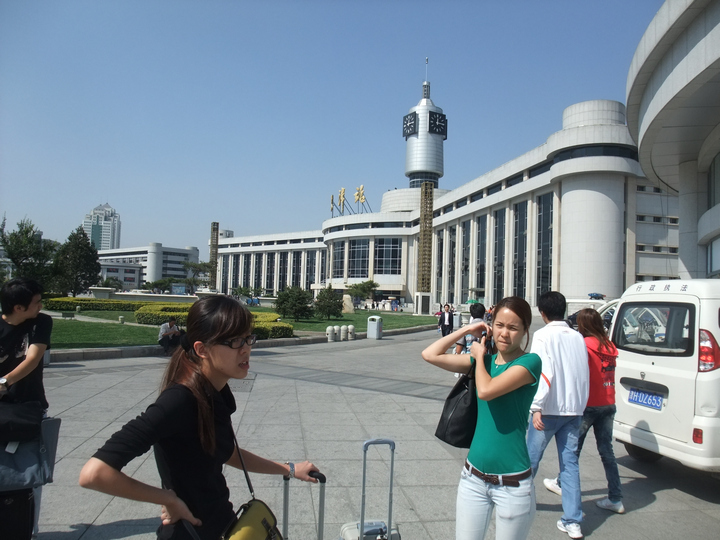 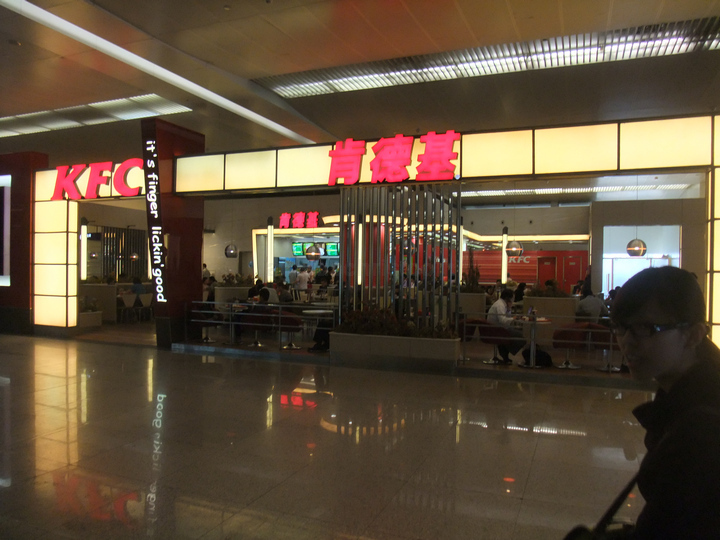 01.23 pm – Tianjin International Airport from the bus windows. 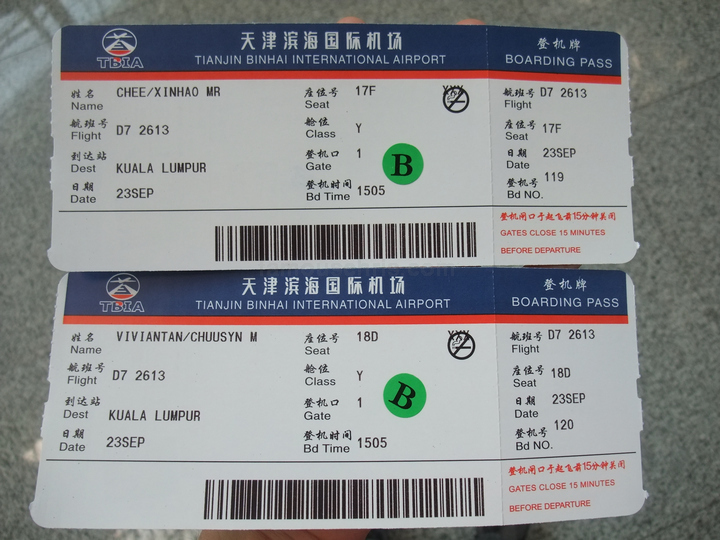 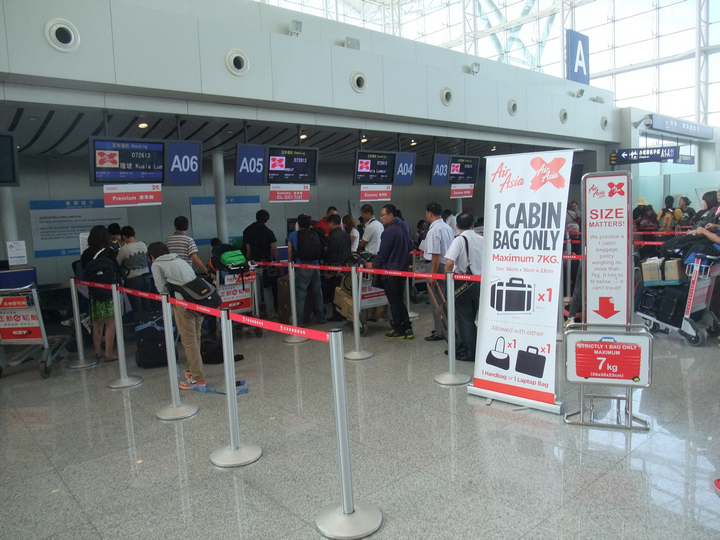 01.35 pm – Dropped off our luggage and received our boarding passes. 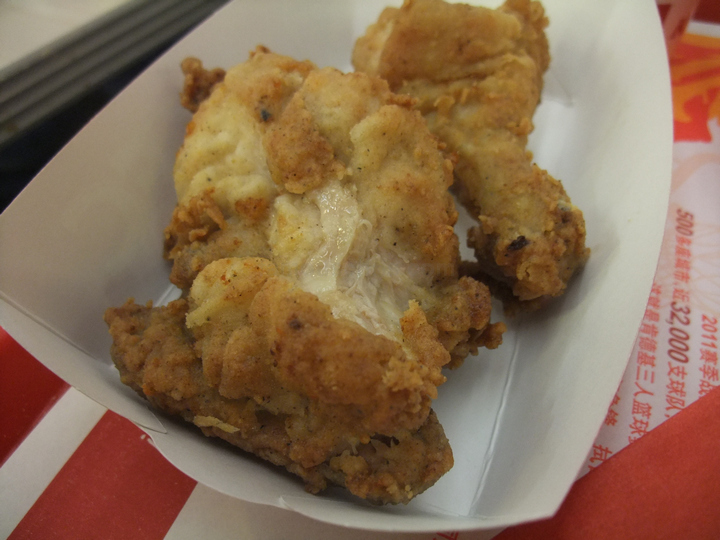 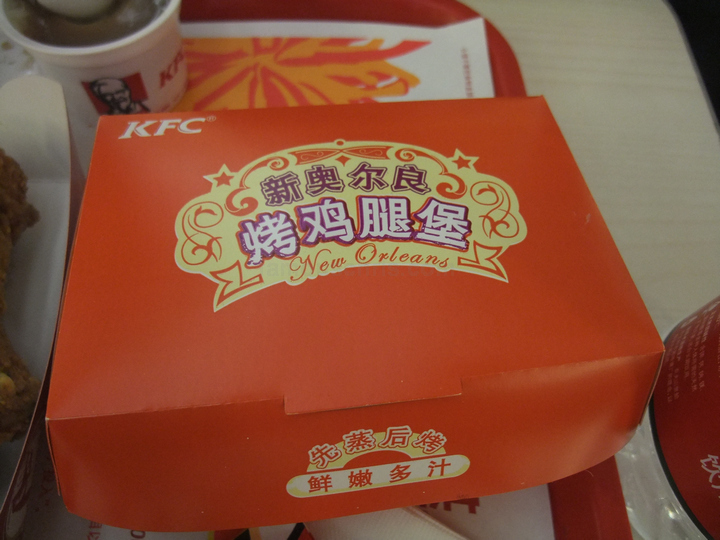 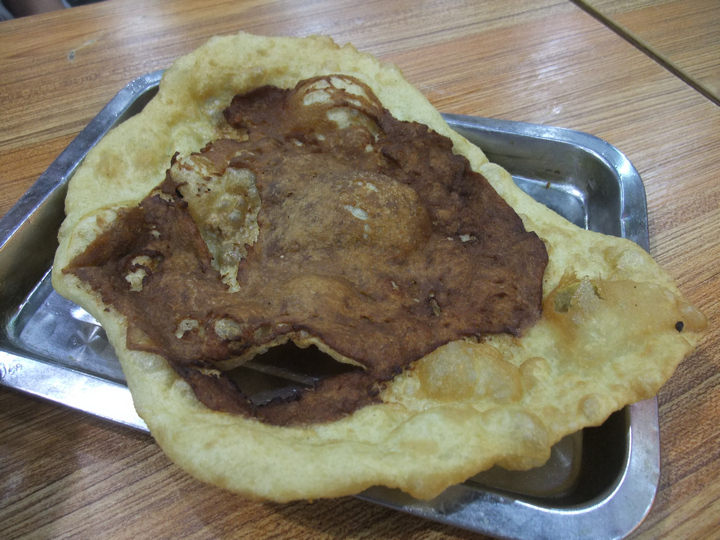 01.51 pm – Had lunch at KFC. 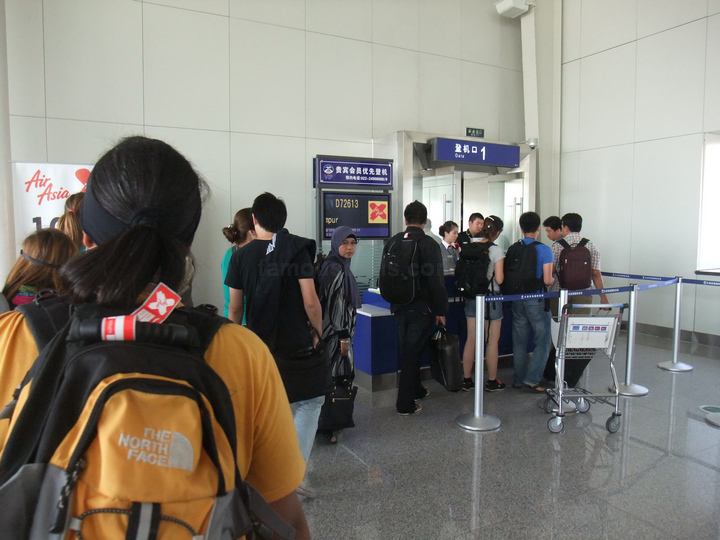 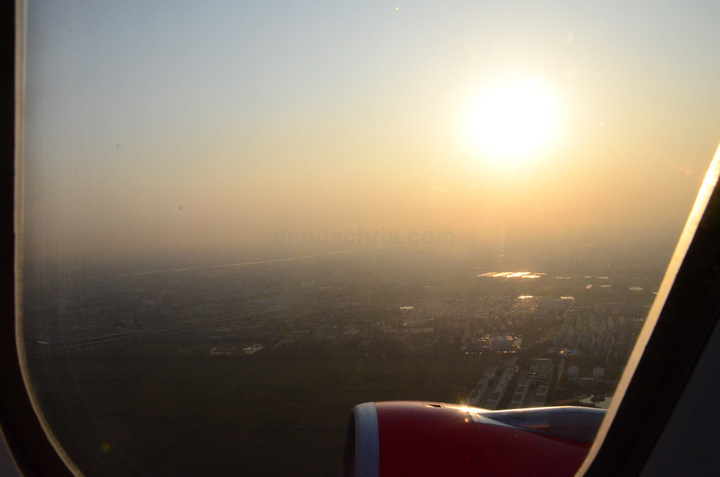 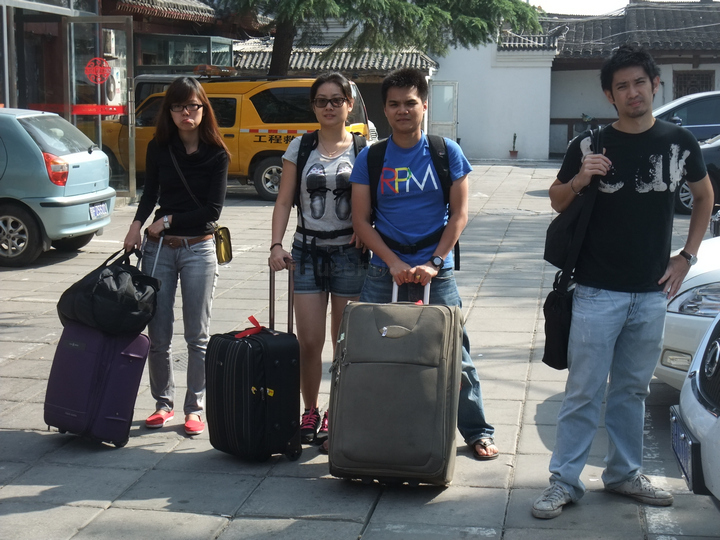 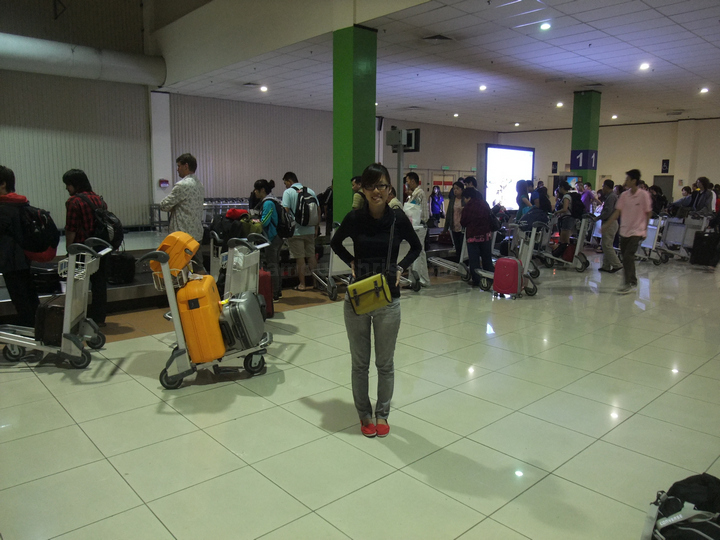 03.00 pm – Waited for about 20 minutes before it was our turn to board the plane. 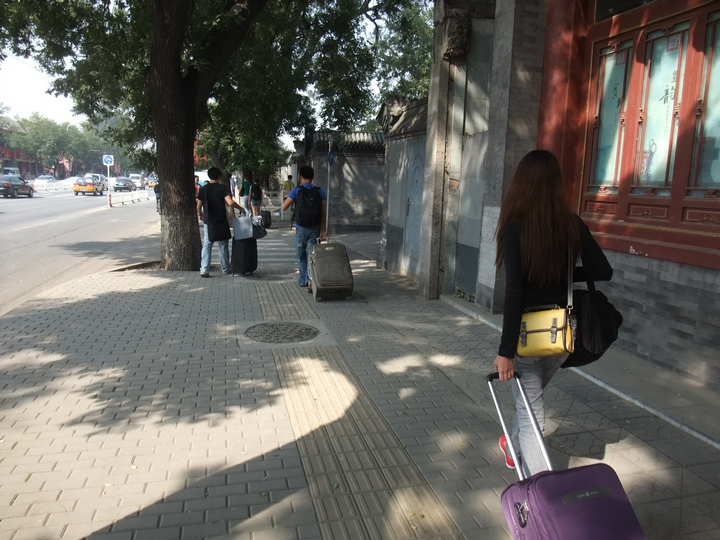 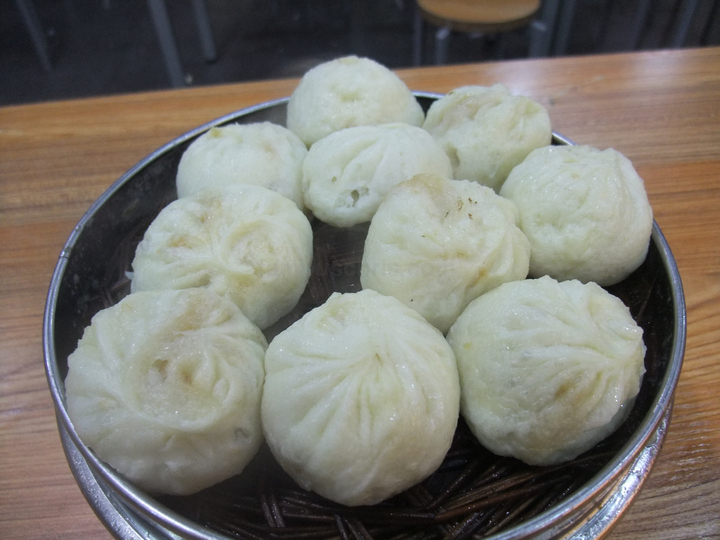 05.18 pm – Thank you Beijing, for 8 amazing days! 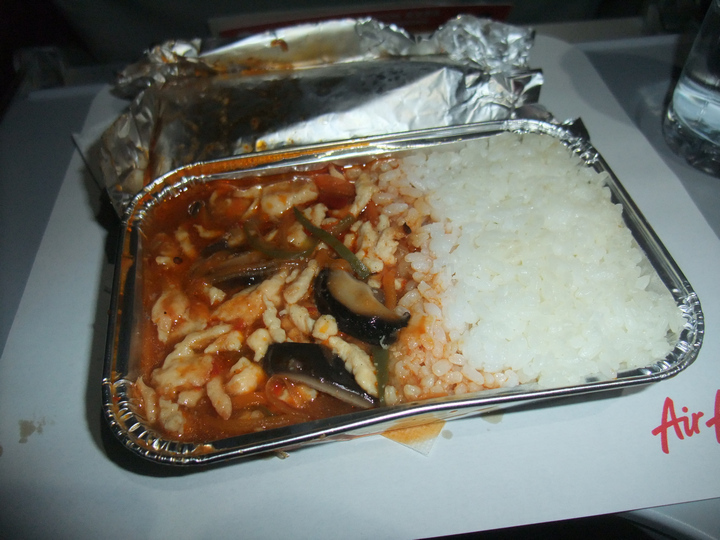 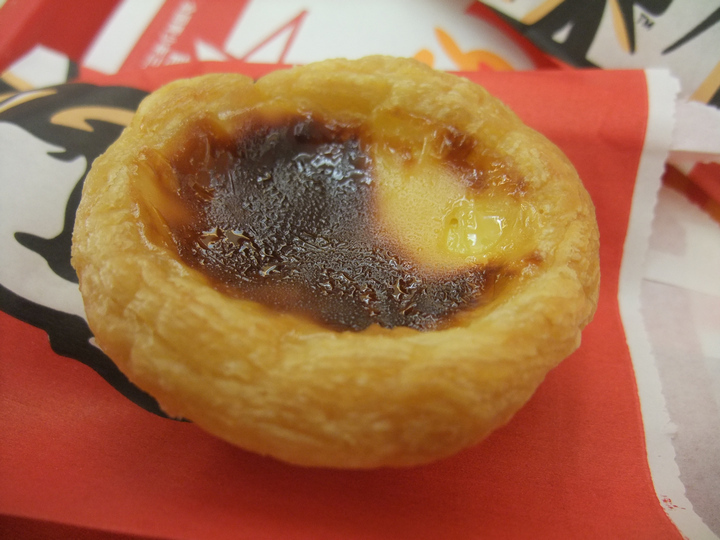 07.34 pm – Dinner. 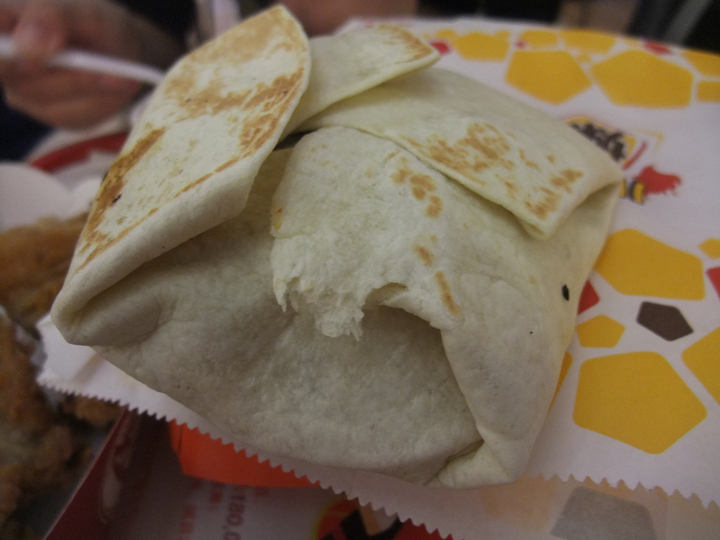 Looks awful, doesn’t it? 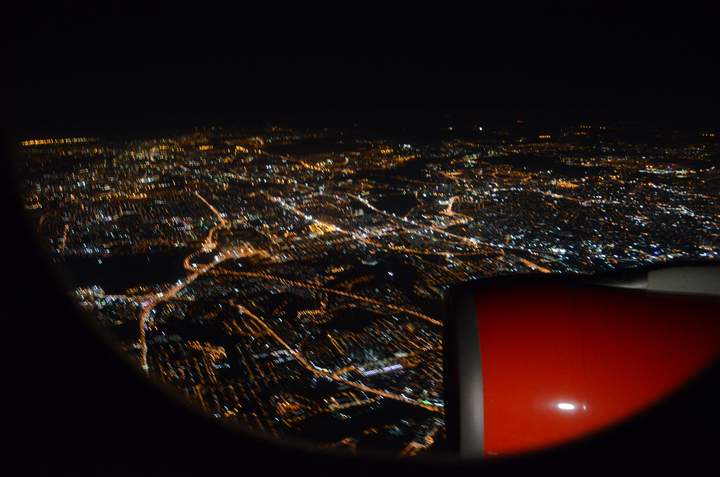 10.43 pm – Lights of Kuala Lumpur below. 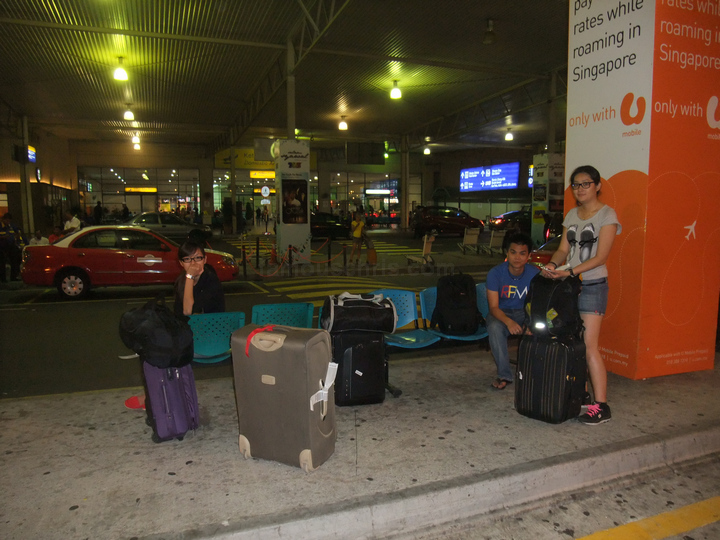 11.14 pm – Collected our luggage and bid farewell to Geoffrey and Priscilla who were staying in KL, unlike us who were returning home to Penang on a connecting flight in the morning. 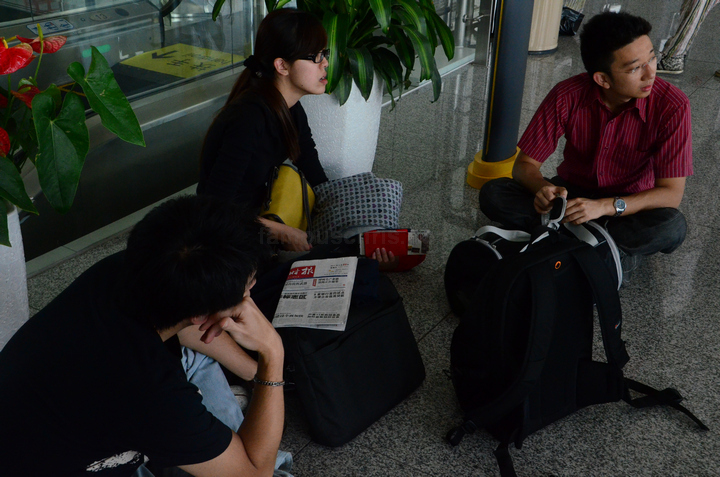 11.41 pm – Waited for the Tune Hotels bus to pick us up from the airport. 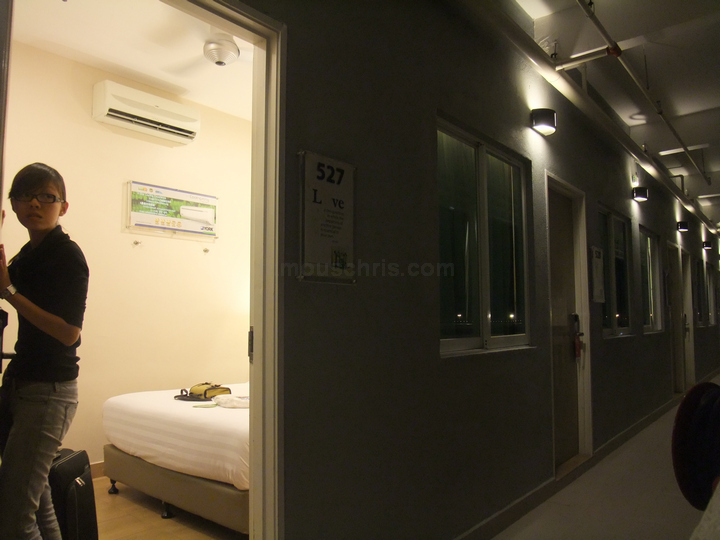 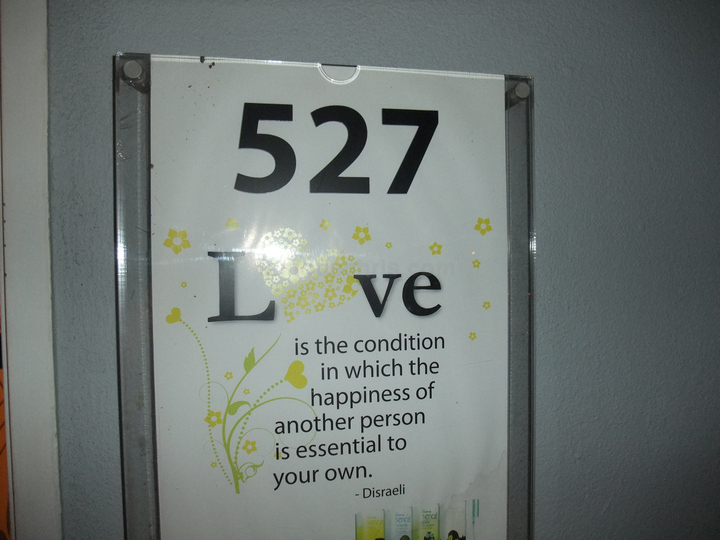 12.14 am – Checked in ourselves and got us a room at 527, one of the more isolated and quiet rooms in Tune Hotels LCCT.